If there is any section of this review which we are writing that will become obsolete quickly, we expect it is this section. At present, there are two compute blade options for the PowerEdge MX. The Dell EMC PowerEdge MX740c is the dual CPU comptue sled that was in our test unit. 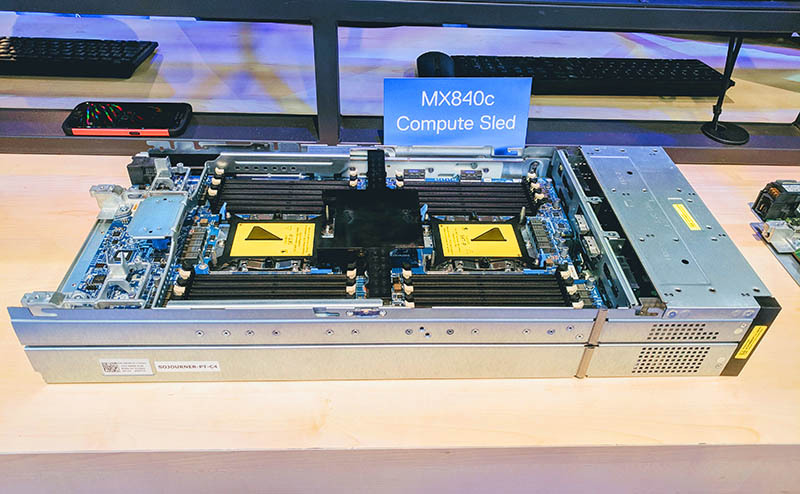 We have also seen the Dell EMC PowerEdge MX840c quad CPU comptue sled in-person. 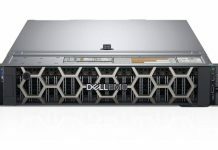 The Dell EMC PowerEdge MX740c compute sled is a standard dual Intel Xeon Scalable compute node. Dell fits the maximum 12 DIMMs per socket which means that the company can support both high-end CPUs and up to 1.5TB of RAM per socket or 3TB of RAM per MX740c with the Skylake-SP Intel Xeon generation. The twelve sockets are important today but with the upcoming Cascade Lake generation and Intel Optane DC Persistent Memory, launching in a few months we are going to see these sleds support up to 6TB of Optane persistent memory in DRAM channels. One of the exciting things (for us) is that the Dell EMC PowerEdge MX blades have a lot of familiar features. A good example of that is the Dell BOSS card. 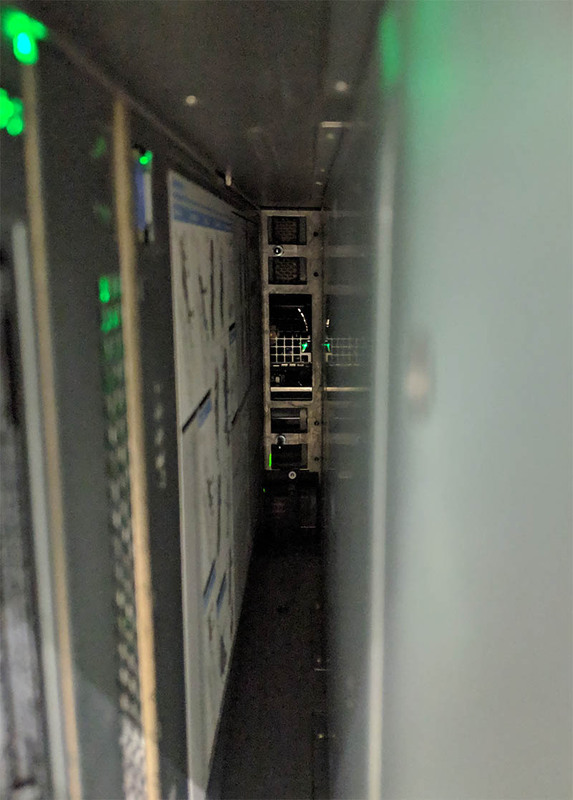 When we opened the node we quickly spotted this familiar fixture in current generation PowerEdge servers. 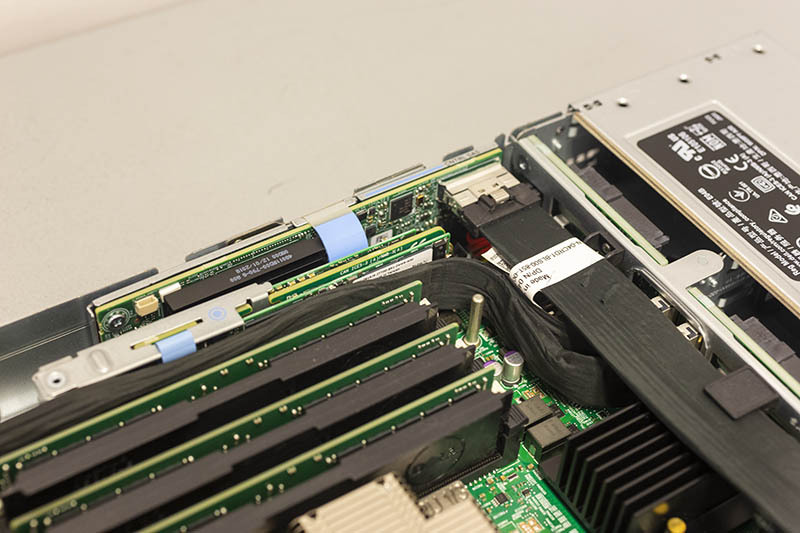 A Dell EMC BOSS card utilizes two M.2 SATA SSDs to provide a boot solution. One can set the SSDs to mirrored mode to reduce the impact of a SSD failure, and install a boot OS or hypervisor on the redundant solution. For those accustomed to the Dell EMC BOSS in standard PowerEdge rack servers, this same feature is available in the PowerEdge MX even in the reduced server footprint that the form factor allows. 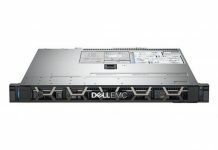 The PowerEdge MX also has low profile PERC cards and the ability to utilize PCIe cabling for SAS/SATA or NVMe front panel storage on the compute nodes. There are other distinctively PowerEdge features afoot. One can see that there is a USB 3.0 Type-A connector for those who are utilizing embedded OSes or USB-based license keys. 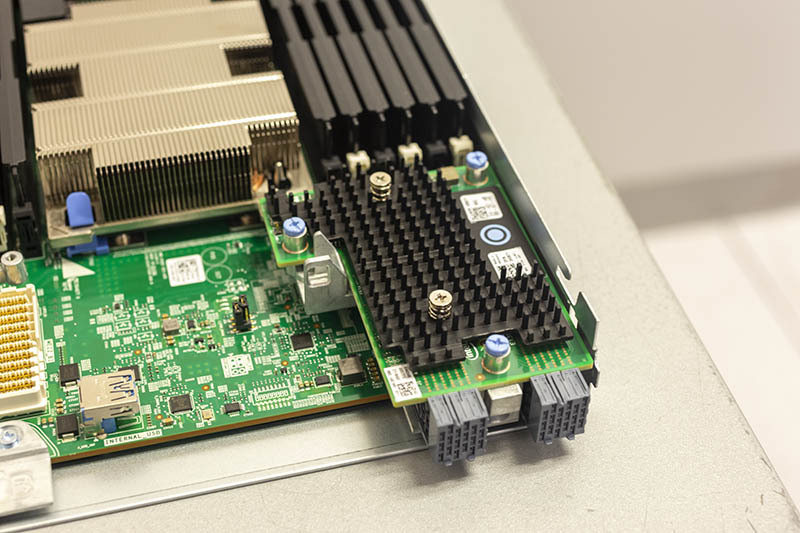 Dell EMC is even using their custom LGA3647 cooling solution with the blue clips that we see in the PowerEdge rack server line here in the PowerEdge MX. On the rear of the sleds, one can see how Dell EMC is enabling a no-midplane design. Each node utilizes mezzanine cards to connect to fabric I/O modules. You can see the 25GbE dual port mezzanine card above. To circle back to the chassis side, these connectors plug into the fabric modules’ connectors directly. In-sled storage is configurable, and Dell EMC has a number of customization options for the MX740c. 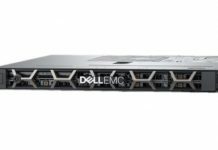 The Dell EMC PowerEdge MX we reviewed had two MX740c nodes, but the company has another compute option. The Dell EMC PowerEdge MX840c compute sled is double width, so one can only fit four per MX7000 chassis. At the same time, the node supports twice as many processors and DIMMs at four processors and 48 DIMMs total. We saw one of these sleds and wanted to mention it. You may be looking at the picture above and the sign and thinking, “Good sir, I see two CPU sockets. You are going crazy.” Indeed, the black mechanism between the two visible sockets covers a through PCB via (for Intel UPI and such) that mates the top visible motherboard with another dual socket motherboard below. This is one of those designs that is simply great to keep the system compact although it adds some time to service DIMMs and CPUs. With four quad socket servers in 7U this is actually a high-density play. Most quad socket Intel Xeon Scalable servers are at least 2U in height which means four servers would take up 8U, or 1U more than the PowerEdge MX7000. At the same time, the PowerEdge MX is able to add fabric directly into that footprint as well, thereby increasing density further. While today there are two compute nodes, the design of the Dell EMC PowerEdge MX is one that begs for additional types. 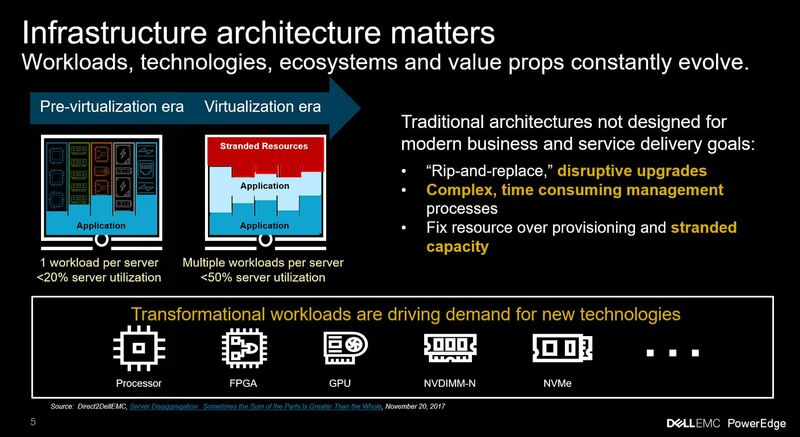 At the PowerEdge MX launch, here is a slide that the company showed. One can clearly see the GPU and FPGA solutions called out and on Dell EMC’s radar. What the no-midplane design allows is for the company to add different types of blades easily. There is absolutely no reason the company could not build FPGA blades and GPU compute blades today. 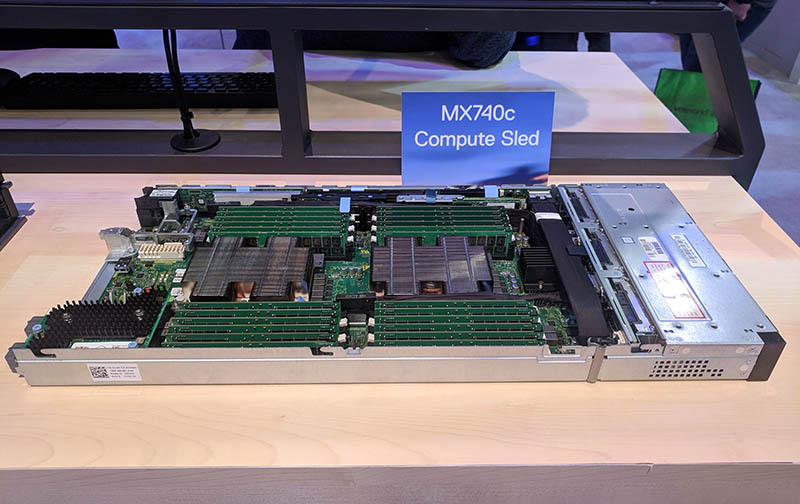 In the future, if one believes Gen-Z will be a next-generation fabric, the PowerEdge MX is designed for a memory-centric compute model. Next, we are going to look at the PowerEdge MX fabric as that will enable Dell EMC’s flexibility in utilizing differentiated types of blades.